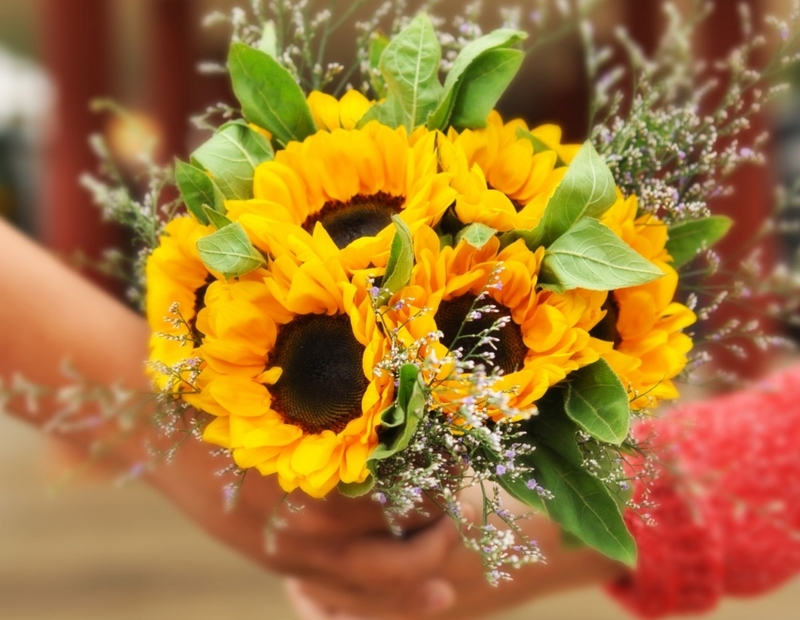 Bring a little of summer’s sunshine to your autumn wedding with this fresh palette. This color scheme works perfectly well with simple, unpretentious yet elegant weddings. Gunmetal gray and deep butterscotch get a bright kick from sunshine yellow. Try this happiness-inducing combo for afternoon weddings in mid autumn. Choose a butterscotch sophisticated wedding dress instead of standard snow-white one and accomplish your look with a bouquet made of creamy roses and yellow snapdragons.